The Hancock County Planning Commission (HCPC) will assist towns in Hancock County to identify prepare policies for reducing green house gas emissions and accommodating climate change. We are working with Maine state agencies and local organizations for climate change adaptation and preparedness. 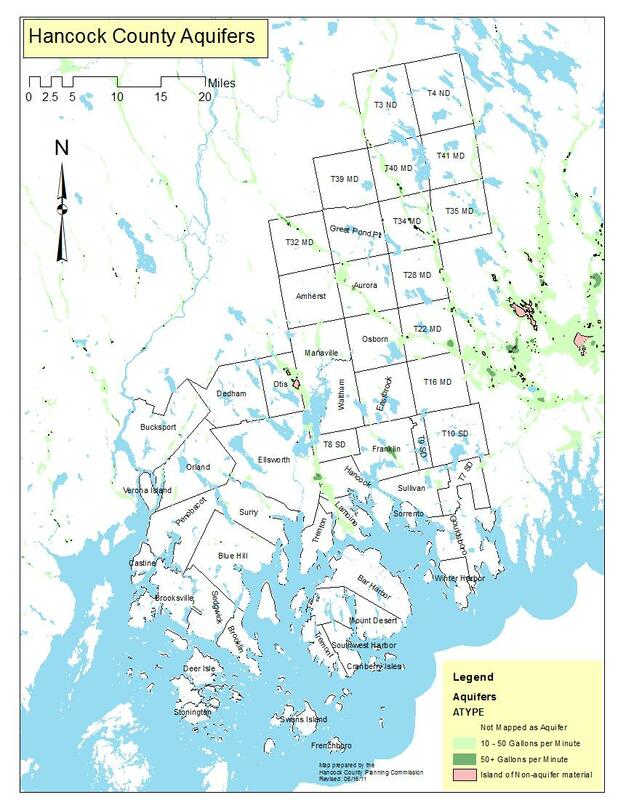 NOTE: THESE ORDINANCES SHOULD BE REVIEWED BY AN ATTORNEY KNOWLEDGEABLE ABOUT MAINE LAND USE LAW BEFORE BEING ADAPTED FOR USE BY YOUR TOWN. The Hancock County Planning Commission (HCPC) will assist towns in Hancock County to prepare policies for meeting stormwater management goals. Increased in precipitation, storm surges and challenges to water quality require a new look at critical transportation, energy and drainage infrastructure. Landscaping at the Water's Edge: An Ecological Approach - free book on how to create eco-friendly landscapes, manage stormwater runnoff and beautify you property. HCPC provides an array of solid waste services to towns in Hancock County. We work with local officials to evaluate and improve transfer station and recycling center management. Future services will be contingent on funding. For More Information Contact Tom Martin at 667-7131 or email at tmartin@hcpcme.org. Did you know that you can now recycle various paints, stains, and sealers at convenient locations throughout Maine? It's easy! Click here to find a drop-off site near you! Click here to find out which products are recyclable! Single Stream Recycling: What you need to know. Zero Sort Recycling What is it? Will it work for your town? * The solid waste, composting, and recycling portions of the web site are based upon work supported under a grant by the Rural Utilities Service, United States Department of Agriculture. Any opinions, findings, and conclusions or recommendations are solely the responsibility of the authors and do not necessarily represent the official views of the Utilities Programs. This portion of the web site is funded in part by the USDA Rural Utilities Service. Any opinions, findings, conclusions or recommendations expressed in this material are solely the responsibility of the authors and do not necessarily represent the official views of the Utilities Program.